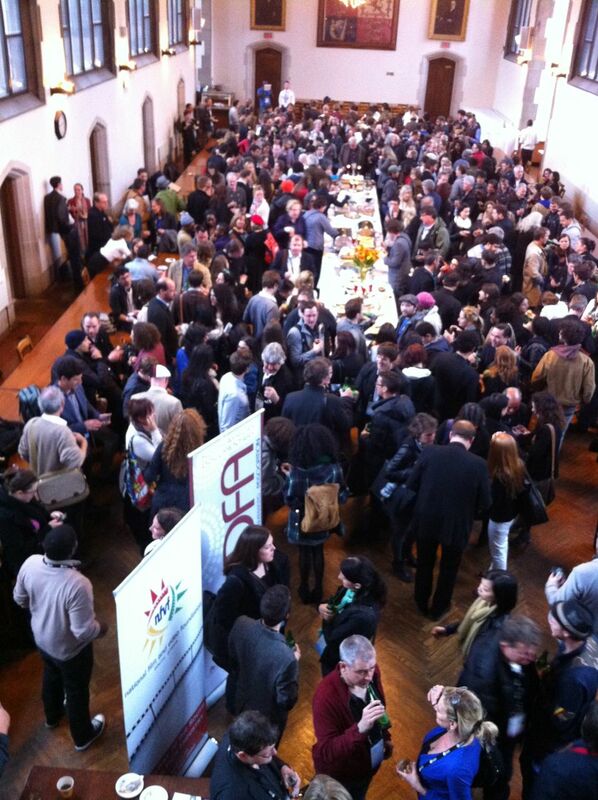 SASFED Member - the DFA has this update live form Toronto Caned, where a massive SA Delegation is attending Hot Docs. Hot Docs Monday "Happy Hours" by NFVF and DFA at Hot Docs draws a big crowd. The Documentary Filmmakers Association (DFA) Supersized it – with one of the largest official delegations at HotDocs 2012. The delegation presents 14 documentary projects telling stories about crazy and beautiful places, environmental battles, political challenges, personal struggles, love and happiness. With the 100% support of the Department of Trade and Industry (DTI) and the National Film and Video Association (NFVF), the DFA is at HotDocs in Toronto, the premiere North American documentary film event, with the first ever documentary filmmaker trade delegation. Recognising that the documentary film production creates jobs and products, and is a growth industry, the DTI and the NFVF representatives have joined the delegation and are meeting their counter parts in Canada. Also present as part of the delegation are the SASFED Vice Chair - Marc Schwinges and head of International Relations for SASFED - Michael Lee. Both are taking industry meetings during Hot Docs to further relations with international counterparts. The South African delegation is programmed to present documentary production opportunities in South Africa, highlighting the DTI’s rebate scheme and the South Africa-Canada Co-Production Treaty. The DFA has a prominent stand in the HotDocs Industry Centre, where buyers and filmmakers alike can stop off and discuss the South African documentary filmmaking industry with delegation members. For the benefit of all its members, the DFA has had exchanges with the International Documentary Association as well as the Canadian Documentary Organisation of Canada. Ryley Grunenwald and Pascal Schmitz have been selected to pitch at the prestigious Forum, often a springboard for successful documentaries. Nicole Shafer’s project has been selected by the Blue Ice Documentary Fund. Individual filmmakers will be promoting their projects at Rendezvous, a series of intense business meetings with foreign broadcasters and international sales agents. Delegates are also engaged in numerous private meetings about industry matters, individual projects and potential co-productions. Monica Rorvik of the Durban International Film Festival, which is known for its strong documentary programming, has joined the delegation, and the DFA will have a strong presence at DIFF, which is taking place in and around the Durban beach front during June/July 2012. With filmmakers from Johannesburg, Port Elizabeth, Cape Town and Durban, the DFA’s official trade delegation in Toronto will benefit all documentary filmmakers in South Africa.